A revised and updated edition of this popular book by railway enthusiast Reg Davies which tells the story of the railway line which once ran between Finsbury Park and the Alexandra Palace from 1873 to 1954. 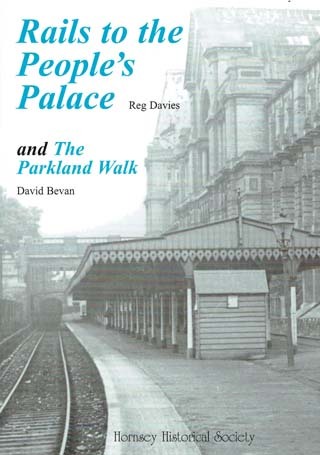 The book also contains a section, by local conservationist David Bevan, on the Parkland Walk which replaced the railway. Reg Davies is a North Londoner who attended Stationers’ Company’s School. His interest in this line was awakened when as a schoolboy he used to see underground trains travelling along an apparently abandoned line. He has co-authored other railway books. David Bevan is a local conservationist who has an extensive knowledge of plants and trees.